NothingButEverything: Three More Years of Cartman! Yeaaa!!! 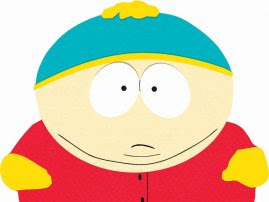 Three More Years of Cartman! Yeaaa!!! The creators of South Park, Trey Parker and Matt Stone, have just signed on to continue the series for three more years and $75 MILLION DOLLARS!!! Nice!